A silent and deathly cold morning at the edge of Loch A Chroisg near Achnasheen. 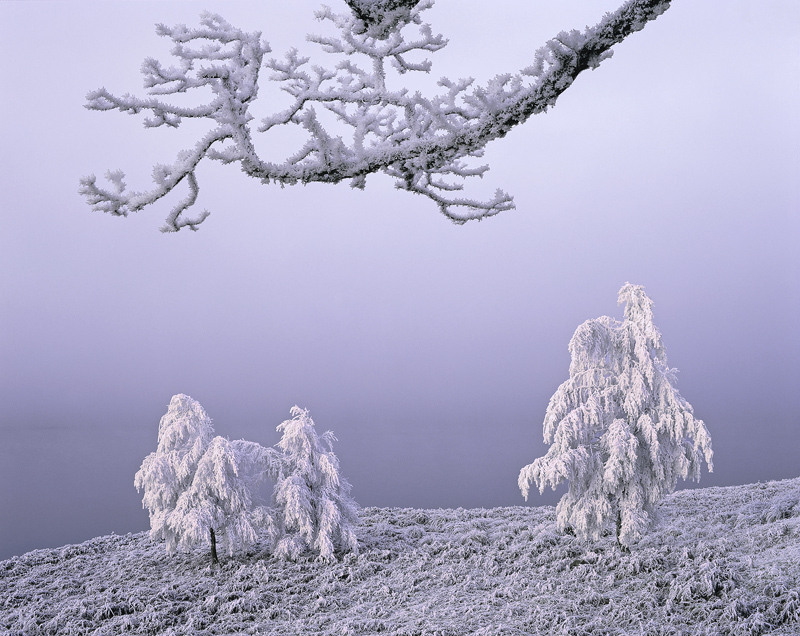 The temperature plummetted for the third time to minus 23 degrees celcius and the freezing mist again had rolled in over the loch creating a dense coat of hoar frost. This time the mist began to peel back and the sun came up glowing eerily pink against the slope of a snow covered hill behind me at the loch perimeter and the light reflected from that hill stained the two rime covered birch trees so they stood out in limbo against the sombre backdrop beneath the frozen branch of another tree.